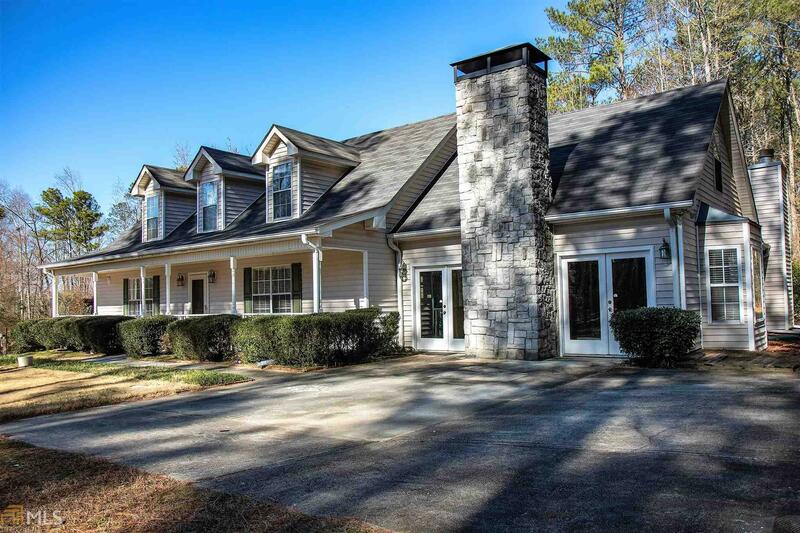 Amazing home that sits on a little more than 16 acres! Bring the horses! Home includes Barn/Stable and horse corral. Spacious 4 bedroom 3.5 bathroom. Tile floor spans throughout entire main level. Kitchen offers ample amount of cabinet/storage space, double oven and gas cook top. Custom built ins throughout home. Owner&apos;s retreat (located on main) is large with vaulted ceiling, custom built ins and private en-suite. One additional bedroom is located on main. 2 more bedrooms and a bonus room are located upstairs. This home boasts privacy and space, but is not far from shopping and interstate. Call today to set up an appointment to view. Directions: Take Highway 138/Ga-138/Ga-20. Continue To Follow Ga-138/Ga-20, Turn Left Onto Sigman Rd/Ga-20, Turn Right Onto Sugman Rd/Ga-20, Turn Right Onto Highway 20/Ga-20, Turn Slight Left Onto Almand Rd, .